Dementia is one of the most challenging illnesses for both the person afflicted and their family. Sometimes, people talk about the person with dementia as being “gone” mentally or “just a shell,” and they aren’t sure how to relate to them anymore, but the person they were is still there, you just have to modify how you relate to them. 1. Set the tone. When you are approaching the person with dementia, have a smile on your face. Try to appear relaxed and unhurried. It can be stressful for the person with dementia to hold a conversation, and you can relieve that anxiety by showing that this is a no-pressure, easy, and companionable moment. 2. Always introduce yourself. Saying “Hi Mom, it’s your favorite daughter Ann” lets your Mom know who you are, and your name, but also adds a little humor if today Mom does know who you are or remembers your name. 3. Remove distractions. Check your senior’s environment. Turn off the TV. Make sure the lighting is appropriate. Clear the table if you want to work on a project. Distractions can also be personal. Check if the senior you are caring for or visiting needs to use the bathroom or if they are thirsty or hungry, or too warm or cold. These sensations may not immediately register to them without prompting, but they could be distractions all the same. 5. Don’t forget non-verbal communication. Hold their hand. Give a backrub. Brush their hair with a gentle touch. Everyone needs a human touch to thrive. We all need to feel loved, and the person with dementia may have been separated from their life partner and even friends due to dementia. Needing to rely on local senior caregivers, or a move to a nursing home, or the death of their partner is complicated by the fact that they may be incapable of remembering what has happened or why it has happened. Sitting on the couch with your arm around your Mom’s shoulder can give her a sense of safety and well-being. 6. Don’t forget to use music. If your loved one enjoys a certain type of music, play that for them. Did they have a favorite singer? Is a certain era important to them? Do they like show tunes? Are they an opera fan? Often the music will bring back memories associated with a certain song. What songs were played at their wedding? Don’t forget hymns. If your loved one attended church regularly, they may find hymns to be very uplifting and comforting. 7. Plant an herb garden. The thing about herbs is some will be very happy in a pot on a windowsill. There are windowsill gardens already planted that can be purchased from garden centers, or you and the person you provide in-home care or can plant them yourselves as a fun project. Herbs are an excellent way to stimulate the sense of smell. Pinch off a small piece of chives or some rosemary and have your senior rub it between their hands. The scent will be intensified, and they will have the pleasure of the smell for hours after. 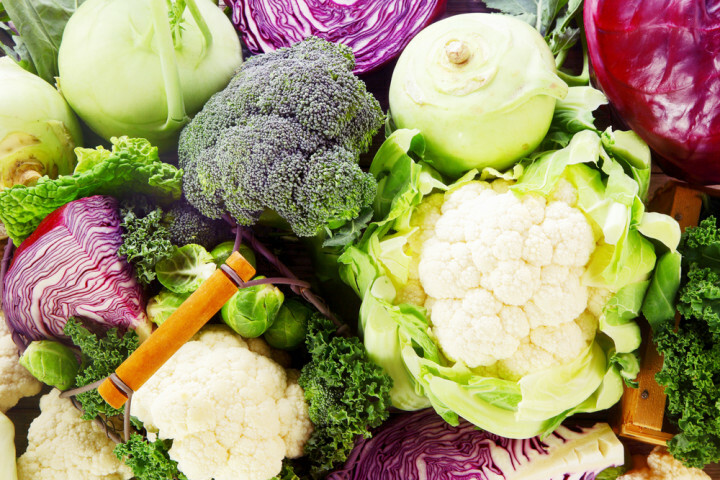 Once the herbs have some size, they can be used in cooking and add flavor to the food that is prepared for dinner. 8. Sports events are televised continuously. If your Dad was a big football fan, he probably still is. He might not be watching the games because he doesn’t remember that they play on Sunday, or he might not realize it is Sunday. 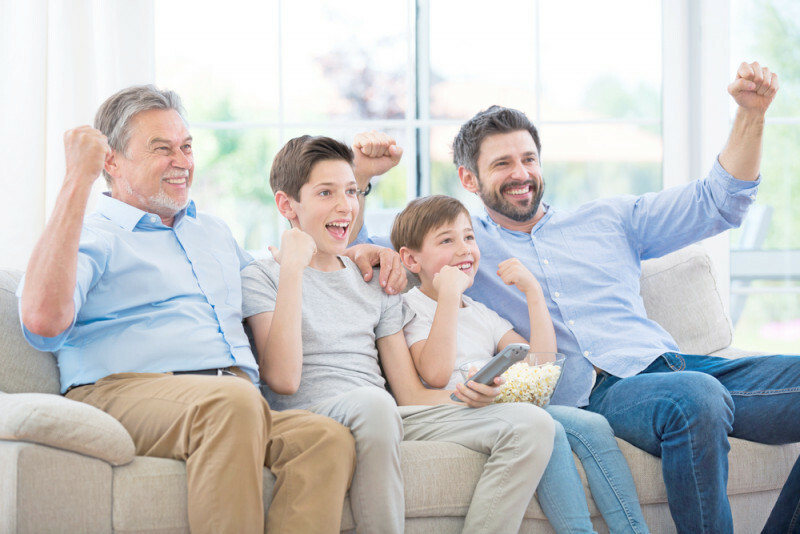 Make it a family event and get together for the game with the whole family. It is a great way for the grandkids to spend time with their grandpa without having to figure out what to talk about. Make it a party and serve lots of snack foods or order a pizza delivery. It doesn’t have to be the Super Bowl to celebrate. Plus, it keeps the person with dementia connected to the younger generation. 9. Tap into hobbies. For example, if Mom was a baker, tap into that hobby and have a cookie bake. This is also an opportunity for a multigenerational event. 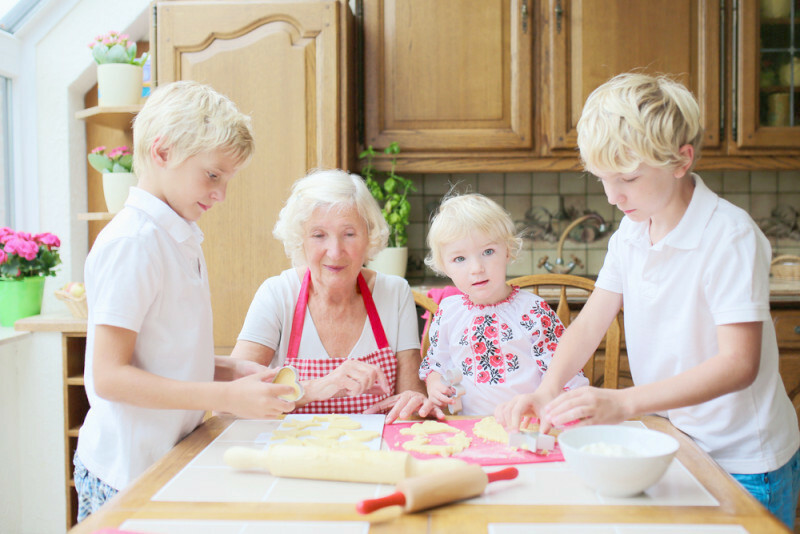 Invite any grandkids who want to make and eat cookies to come. Maybe have most of the cookies prebaked, so that part of the process isn’t overwhelming for the person with dementia. You will want to bake at least one batch of cookies, though, so the smell of fresh baked cookies fills the house. Then the party will be for decorating. Don’t limit cookies to just Christmas. Think Easter cookies, Fourth of July cookies, Halloween cookies, etc. Every event is a reason to bake cookies! 10. Connect to who they were. 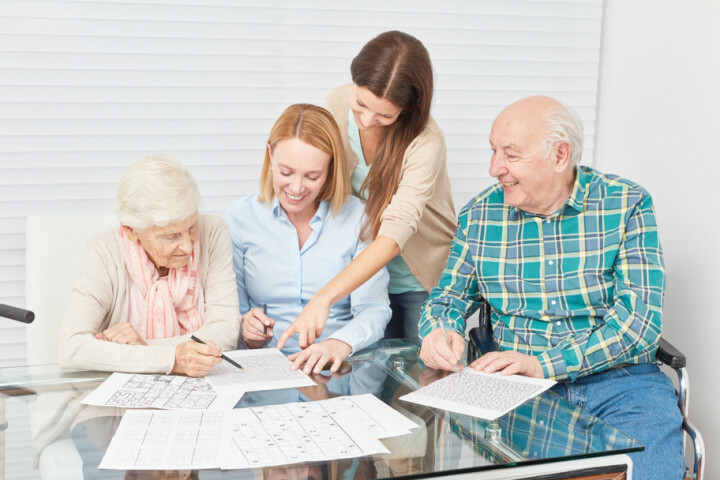 Think about what the person you provide in-home care for liked pre-dementia and use it to connect now. If they were interested in birds, they can still be involved. Buy some inexpensive birdhouses and paint them together, and then place them outside where they can see the birds build nests inside. Collect some pine cones and fill them with peanut butter and birdseed. Have your senior take charge of washing and filling the hummingbird feeders. If your senior liked to build things, maybe he still can construct simple projects, as long as all the pieces are pre-cut. Remember that dementia is a progressive disease. That being said, they will have good days and bad days. 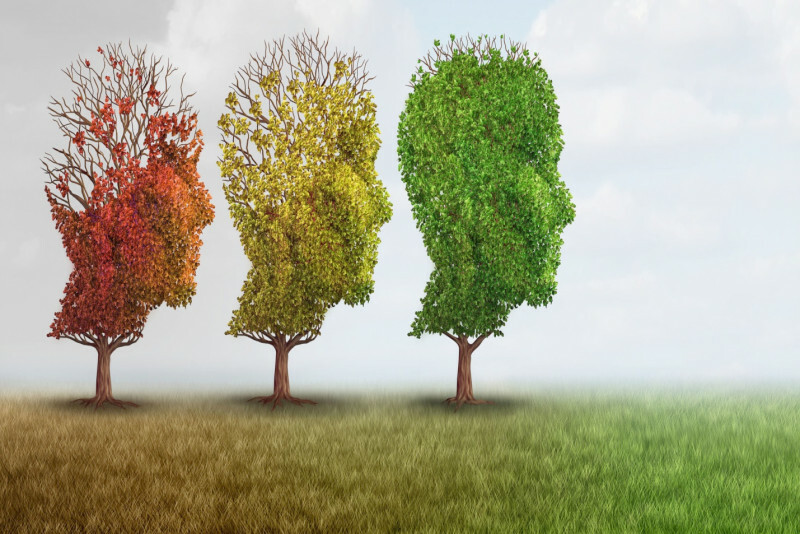 Dementia may plateau for a while or become significantly worse in a short time. 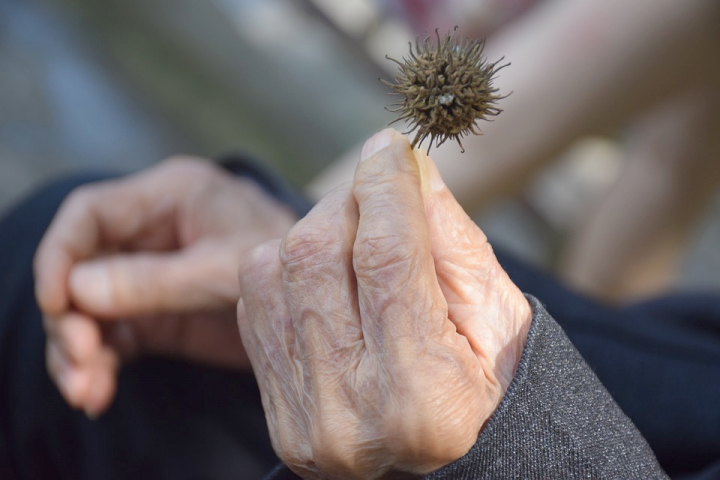 There is no predictability about dementia except that it will continue to progress. You will have to be able to change your expectations and adapt to the reality of each day as it comes. It will be different, but you can still have fun and build memories with your loved one. Susan Ashby joined the Superior Senior Care team in July of 2014 as Community Relations Manager. With over 27 years of experience in geriatric health, Susan brings a wealth of knowledge and insight to Superior Senior Care and plays an integral part in connecting consumers and communities with resources for independent living. 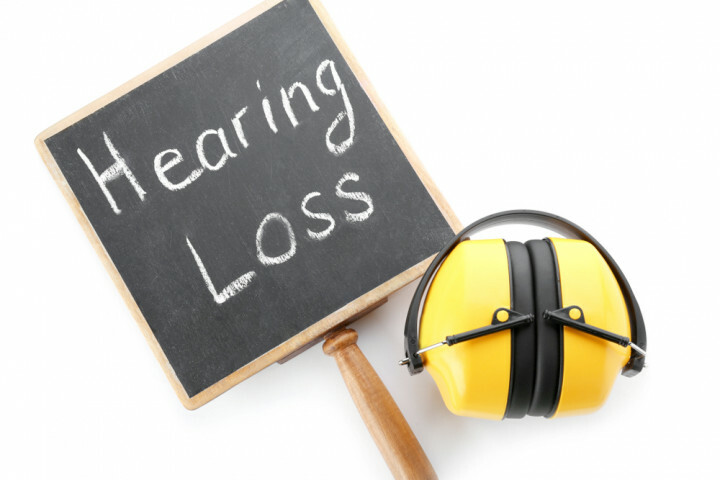 Hearing loss and aging: What is the connection?